I have these boots and LOVE them! 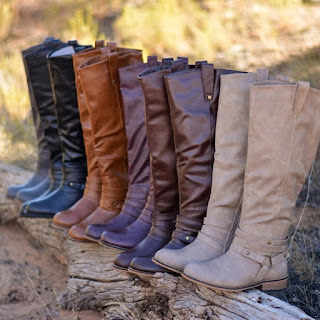 Right now these Knee-High Riding Boots including Wide Calf Option are just $29.99 (Reg. $89.99)! $6.99 for the first item and $5.99 for each additional item. US only. Seller usually ships within 4 business days. Ships no later than Thu, Sep 21.